Subscribe | Join Overseas Property Alert Today! Profit from the world’s agriculture boom…the world’s population is exploding, while the available farmland is shrinking at an alarming rate. These opportunities are based on booming demand, and allow you returns nearly 20% and beyond, with capital as low as $10,000..
Our team of global property pros, with, among them, decades of experience and extensive track records of success, are right now on the ground, around the world, scouting opportunity—in crisis markets, in recovering markets, in boom markets, even in markets previously off-limits to foreign investors. Their latest research report, The Top 8 Property Investments For 2018, arms you with our latest picks for the best international property investments available in the world today. These eight investments have been thoroughly examined and studied by our property experts, and have been deemed as primed for huge investment yields in 2018 and beyond. Learn about all eight investments, absolutely free. How To Invest With Confidence – Free Report! No question, the greatest opportunities to build wealth are available overseas…however, unless you’re prepared, the entire process—from finding a property and purchasing it, to generating yields and building wealth—can be difficult if you don’t know what you’re getting into. Information on property and investment markets around the world are far less organized than those in North America, hence the bigger opportunities to build wealth abroad. How can you navigate foreign property markets securely, while making the best use of your time and money? From decades of experience buying, selling, and managing property investments overseas, comes our latest report, 10 Things You Must Know Before Buying Property Overseas In 2018. In this brand-new report, we give you the low-down on the ten tips, tricks, and strategies that will have you investing like a veteran. Best of all, it’s available FREE and for immediate download. All you have to do is to enter your e-mail address above. In addition, we’ll sign you up for a FREE subscription to Overseas Property Alert, the weekly dispatch from our far-flung network of editors, experts, friends, and advisors detailing the best opportunities today for international investing and purchasing, owning, and managing real estate around the world. 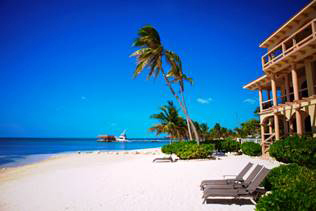 Overseas Property Alert is a publication of Live and Invest Overseas. Established in 2008, the Live and Invest Overseas’ editors and correspondents have more experience researching and reporting on top opportunities for living well, investing for profit, doing business, and owning real estate around the world than anyone else you’ll find. 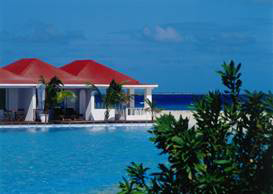 Overseas Property Alert is a publication of Live and Invest Overseas. 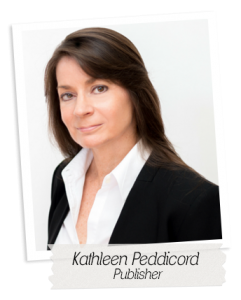 Live and Invest Overseas was founded by Kathleen Peddicord, who has been covering the international living and investing beat for over 30 years. Kathleen has more experience researching and reporting on top opportunities for living well, investing for profit, doing business, and owning real estate around the world than anyone else you’ll find, and is the recognized live, invest, and retire overseas expert. Kathleen has traveled to more than 70 countries, established businesses in 7, and invested in property in 26. Thanks to these adventures abroad, Kathleen has been able to assemble an unparalleled network of global contacts, colleagues, friends, experts, resources, expats, and advisors. This team, with many decades of combined experience, is on the move continuously in search of opportunity. 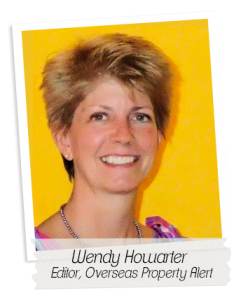 Your editor for Overseas Property Alert is Wendy Howarter. Wendy was an attorney for 23 years until she decided there must be more to life than 60-hour work weeks and 10 days of vacation every year… to say nothing of looking beyond the many feet of snow and ice she had to shovel every year living in Illinois… So she left it all behind and retired (very!) young. After a lot of research and selling everything they could, Wendy and her husband Darren moved from northern Illinois to Medellín, Colombia, in 2014. She has now reinvented herself as a real estate investment guru and freelance writer and photographer who loves sharing her new home and new discoveries (in Colombia and beyond) with the world. Their insider, from-the-scene reports, dispatches, tips, recommendations, discoveries, and insights are delivered to Overseas Property Alert readers every week. 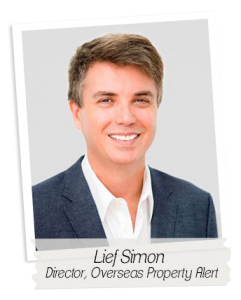 Lief Simon is the Director of Overseas Property Alert . Lief has lived and worked on 5 continents and traveled to more than 70 countries. His real estate investing experience began more than 20 years ago with a multi-unit building in Chicago. After selling that building for a leveraged total return of more than 1,800% in 2 ½ years, Lief began to diversify internationally. In the two decades since, Lief has personally purchased more than 45 properties, investing in 26 different countries around the world. He has developed land, managed rentals, and flipped pre-construction buys. Lief has more experience buying and profiting from real estate around the world than any other individual investor you’re likely to find anywhere. See for yourself…subscribe to Overseas Property Alert! Sign up today and you’ll receive two FREE reports, The Top 8 Property Investments For 2018 and 10 Things You Must Know Before Buying Property Overseas In 2018 are available FREE and for immediate download. Just sign up for the FREE Overseas Property Alert today! We will not share your email address with anyone else, period!